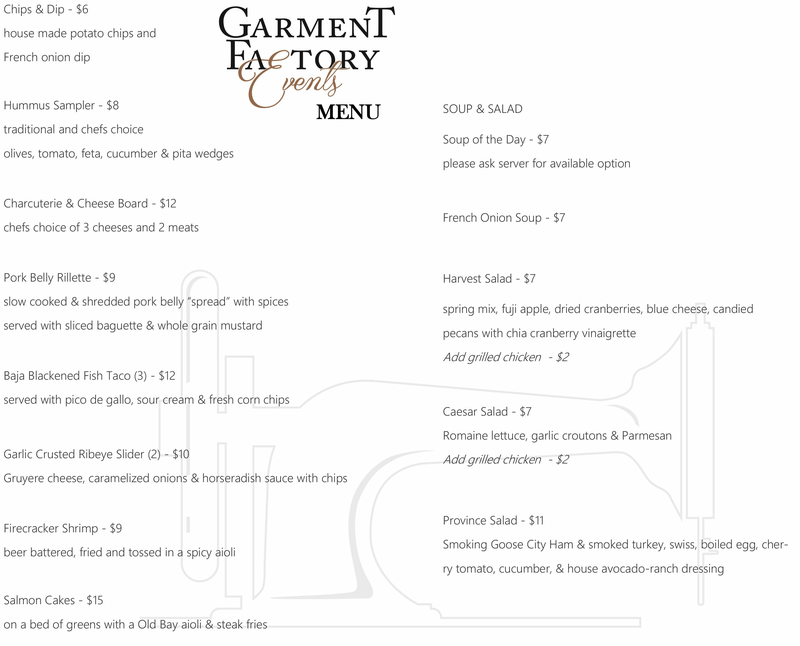 Join us twice a week in the Garment Factory Lounge for drinks and a rotating small plates menu. No reservations required, just come spend some time with us. Available to the public from 4 to 10 p.m. every Tuesday and Thursday. 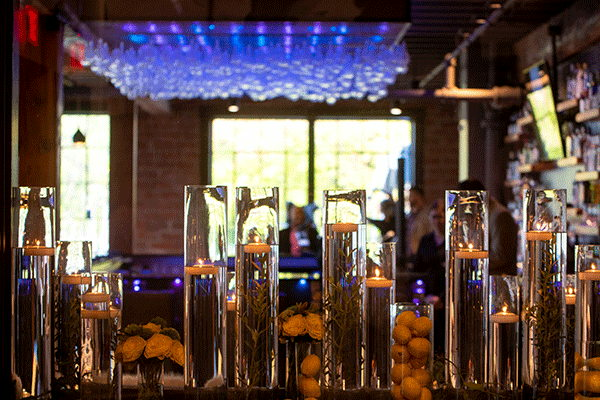 Rotating cocktail and small plates menu created by Executive Chef Richard Goss.